Here at SLM Toyota Uckfield we are very pleased to welcome Tim Bailey to the team as Parts Controller. Tim first began working in the motor industry in the parts department of Scania in Lewes. 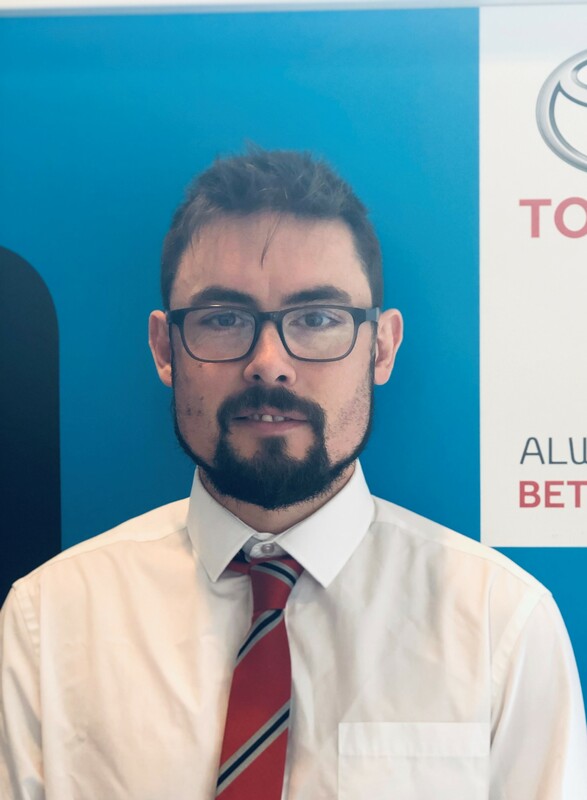 After a three year break from the industry he joined Rossett's Commericals (Mercedes Benz) in Crawley, where he then moved to Dinnages (Renault & Volvo) in Haywards Heath as their Volvo parts specialist. He was interested in working at SLM Toyota for many reasons, including "the opportunity to learn something slightly new and different. Also to be able to develop my career and experience further - I believe this was the next logical step in my professional development." Tim has only been with us for a couple of months however he has already settled in with the rest of the team and is proving to be a great asset to the dealership. The most rewarding part of his job is "knowing I have helped my customers in their tasks". His favourite model in the Toyota range is the powerful and practical Hillux and he is looking forward to working alongside our team throughout the rest of 2019. We are all looking forward to working with him too! Tim's first ever car was a Nissan Micra. Outside of work he enjoys three types of martial arts and lots of walking with his family.